Despite debt-to-income ratios rising in recent years, delinquencies have remained low in the five years since the Ability to Repay (ATR) requirements were introduced under the Dodd-Frank Act, according to the findings of the Consumer Financial Protection Bureau's  (CFPB's) long-awaited report on the Ability to Repay (ATR) and the Qualified Mortgage (QM) Rule (ATR-QM Rule). Despite these factors, in the conventional mortgage market, DTI ratios are constrained from returning to crisis-era levels by a combination of the ATR requirement, GSE underwriting limits which define the loans which are eligible for purchase by the GSEs and the CFPB's General QM DTI threshold which limits this category of loans to those with DTIs at or below43 percent. 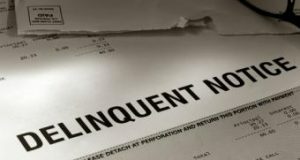 Comparing the delinquency rates between QM and non-QM loans, the report revealed that while the delinquency rate of loans with DTIs exceeding 43 percent (non-QM loans) remained at a steady 0.6 percent, the delinquency rate of GSE loans with DTIs above 43 percent increased from 0.6 percent for loans originated in 2012-2013 to 1 percent among 2014-2015 originations. "Thus, although the performance of non-QM loans did not improve in absolute terms, it has improved relative to the performance of comparable QM loans," the CFPB report said.